Children under 5 yearsfree of charge. Children 5-12 years sharing room with adult, 50% of adult rate. Children 5-12 years in own room 75%. Teens13-17 years in own room or sharing, 75% of adult rate. The hotel’s rooms are set in traditional African village huts. 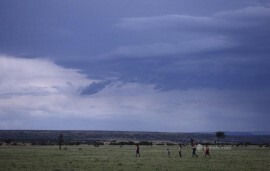 With 74 guest rooms uniquely furnished with maasai inspired designs, ceiling fan, Wi-Fi connectivity and T.V and a private balcony that gives an uninterrupted view of the rolling plains. Uniquely-presented in swirling patterns that echo the colours and shapes of the bush, accommodation at Mara Serena Safari Lodge features Maasai-inspired design-motifs, king-sized beds (or twins), lavish all-encompassing mosquito-curtaining, marble bathrooms (with walk-in shower), writing/vanity unit, and panoramic area. 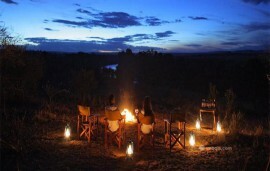 Mara Serena Safari Lodge offers two different kinds of conference facilities. A city based conference option or the nature and wild under canvas option or even a combo of both. Both options have modern conferencing facilities and equipment like the PA system, LCD overhead projector, flip charts and mark pens and complimentary writing material. 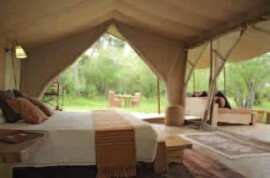 For the under canvas experience everything takes place in a canvas facility located 3km from the lodge. 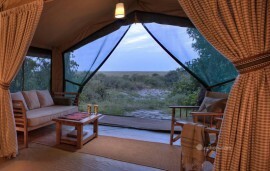 It is in a weather-proof safari tent with roll-up windows, zippered doors, safari-flooring, lighting, power-supply, modular furniture, bathroom facilities, outside catering, and safari-seating and campfire for the evenings.